A terrorist's plot, the assassination of a prime minister, holds the key to an apocalyptic plan to destroy Europe's economy. It's impossible to stop, but one man doesn't know enough to think the world can't be saved. He's no hero; not clever or capable, talented or tested. 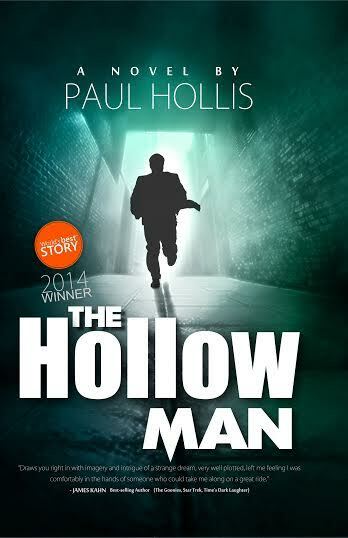 The Hollow Man is just trying to survive in an uncertain climate where terrorism is changing the way we live. 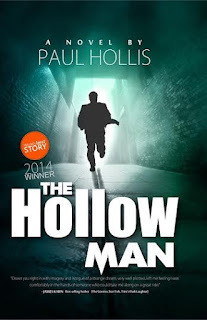 The Hollow Man won 2nd place in World's Best Story Contest. I started out really liking this book. It is a funny, complex, fast-moving, light-hearted novel about terrorism and international intrigue. "Doc" - we never do find out his name - is a "government tourist" aka field analyst for the U.S. Government. "Be invisible or be dead. There was no in-between when one was finding people who did not want to be found, watching people who do not want to be watched , and learning from those who did not want to teach." His job is to study terrorism and keep an eye on Spain's Prime Minister. When a deadly explosion kills the Prime Minister, the real story begins. I love the descriptions of Pamplona, Spain and the brief history of the main plaza. I could see myself sitting at a cafe in the old city. 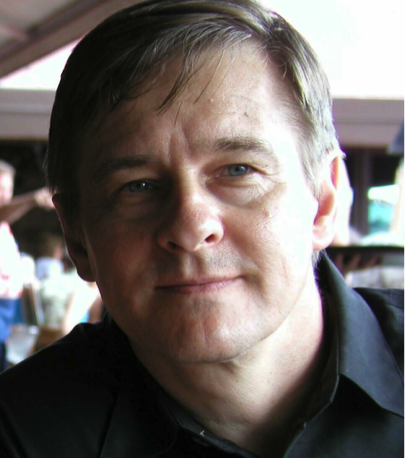 I recognized a number of places the author refers to in Paris and added a few tidbits about the Eiffel Tower to my file of information on that city. The author is very detailed in his descriptions, even supplying the reader with the address of Galeries Lafayette in the 9th arrondissement! I love the funny bits. "He wore an expensive cream-coloured business suit and had a flamboyant stride but what impressed me most were his bushy eyebrows which preceded him by two paces." On the other hand, I didn't quite understand why the author included the scene of a meeting in the cell of the Man in the Iron Mask. So, humour, detail, fast pace, complex plot are all excellent features of this book. However, what started out well soon descended into violence, blood and gore, so the reader should be prepared. Apart from that, it is an interesting read all the way around. Note: This book is rated PG-13 for profanity and excessive violence. To read more reviews, please visit Paul Hollis' page on iRead Book Tours. Disclosure from Sandra: Thanks to the publisher for sending me this book for review. I was not compensated in any other way, nor told how to rate or review this product.